President Nixon meets with POW wives (left to right) Carole Hansen, Louise Mulligan, Sybil Stockdale, Andrea Rander, and Mary Mearns in December 1969 (Richard Nixon Presidential Library). 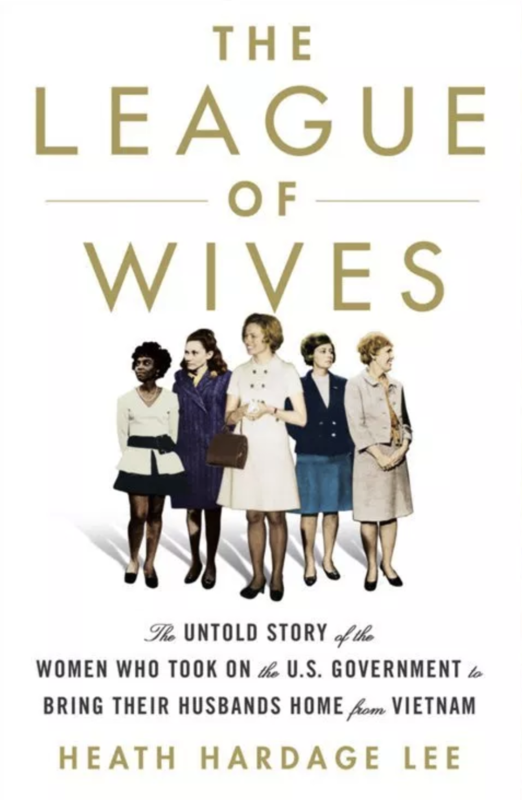 League of Wives: The Untold Story of the Women Who Took on the US Government to Bring Their Husbands Home. What was the situation of the Prisoners of War and Missing in Action during the Vietnam War? What was it like on the home front where many of the wives and families were left wondering where their husbands and fathers were, and when they would return home? On this edition of the Nixon Now Podcast, we explore this topic with Heath Hardage Lee, author of the forthcoming book, League of Wives: The Untold Story of the Women Who Took on the US Government to Bring Their Husbands Home. Jonathan Movroydis: Welcome to the “Nixon Now” podcast. I’m Jonathan Movroydis. This is brought to you by the Nixon Foundation. We’re broadcasting from the Richard Nixon Presidential Library in Yorba Linda, California. You can follow us on Twitter @nixonfoundation or @nixonfoundation.org. What was the situation of the prisoners of war and mission in action during the Vietnam War? What was it like on the home front, where many of the wives and families were left wondering where their husbands and fathers were, and when they would return home? Here with us to talk about this is Heath Hardage Lee. She’s the author of the forthcoming book out next week called “The League of Wives: The Untold Story Of The Women Who Took on the U.S. Government to Bring Their Husbands Home.” Heath, welcome. Heath Lee: Thank you. Thanks for having me. Jonathan Movroydis: Just to start off here, why, ultimately, did you decide to write this book? Heath Lee: Well, I have always been interested in sort of hidden histories of women, and have always been a student of that kind of history. That was my focus in college and graduate school and I’m a curator and historian now. So that was kind of a natural fit to work in that area. This particular book came to me. I used to be on staff at the Virginia Museum of History and Culture. They had a bunch of wonderful papers brought into the archives, the papers of Phyllis Easton Galanti in Richmond, Virginia. She was a prisoner-of-war activist. She and her husband Paul were actually good friends of my family, so I had known them growing up. And the staff at the museum knew… This was after my first book had come out, which was about women during the Civil War. And the staff knew I was looking for a new topic and said, “Heath, you really need to come see Phyllis’s papers.” And I knew she had recently passed away as well through my mother. So I went in to see the papers, and it was like a treasure map of sources, resources. A fabulous story about women kind of not being able to talk about their husbands as prisoners of war, of their situation, where they knew, what was going on. And then, the women kind of rebelling against government constraints put on them at the time. So it was just like a gold mine to find it. It was obvious this was a story that someone needed to tell. Jonathan Movroydis: You had mentioned, Miss Galanti’’s papers. This is a very, very well researched book. Could you take our audience, sort of, through the writing and research process? In addition to Miss Galanti’’s papers, what other information did you look at and who did you talk to? Heath Lee: Oh, yes. This book required…and it took us five years start to finish, because it just required extensive research, first, to understand Vietnam and the broader picture, the broader story, and then, to zero in on these women. And I did this through… Phyllis’s papers were the starting point. And this is where archives, like your own, are so important. I looked through, of course, the Nixon archives and library, spent some time there, a lot of time at the Hoover Institute where Sybil Stockdale, who is really the star of the entire book, her papers are at the Hoover Institute, spent lots of time there, really, archives all over the country. And not just in the archives of the wives, but also peace activists like Cora Weiss, who was the head of this group called COLIFAM, a peace activist group that was able to get letters through to the POWs. Not someone the women, in my book, the POW wives were big fans of, but somewhat they were forced to collaborate with. So it was important to look at all different archives, all different angles, and people on both sides of the war. So it did require a lot of time to do that. And also, oral history interviews are kind of the bedrock of this book as well, interviewing the women who were in the book, extensively, the ones that were still living. And then, the ones that weren’t, like Sybil and Jane Denton. Jeremiah Denton, the famous POW who blinked, “Torture,” in Morse code, his wife’s diary was also given to me to use by the family. So it was sort of a combination of archival sources, family sources, and oral history interviews. Jonathan Movroydis: Let’s start off with the genesis of the POW situation. During the Vietnam War, when did the North Vietnamese start taking POWs? And most of these, I understand, were Navy and Air Force pilots, if I’m correct. Heath Lee: That is correct. That is definitely correct. I believe Everett Alvarez is the first one. I believe that’s in 1964. And they are mostly…for the most part, they are officers, they are Air Force and Navy flyers. These are mostly, sort of, casualties from the air war, not the ground forces so much, although there are some Army, Marine POWs, as well, but most of them are pilots that are shot down by the North Vietnamese. So this starts with Alvarez and it goes on and on for years where these guys are shot down and captured. Most of the ones that I focus on in the book are kept in North Vietnam, though there are four POWs also that kept in the South. So that’s kind of how it starts. And again, mostly people who are shot down from the air that become prisoners of war. Jonathan Movroydis: And initially, what is America’s reaction on the domestic front? I assume Commander Alvarez, and some of the first pilots were shot down during, I believe, the Kennedy administration. What was the initial reaction of American, and particularly the Kennedy White House? Heath Lee: Well, at first, you know, compared to other wars, there were so few prisoners of war. So it was almost kind of ignored at first. And, of course, the policy under Kennedy going forward until President Nixon was to keep quiet about this. The wives were told not to say anything, not to talk about it, not to give any information to the press, the press was really the enemy in the view of the U.S. government, even under Kennedy, to not give the press anything, no information on demand. This was partially for fear that it would derail negotiations with the North Vietnamese as things went along. But this was an issue because there weren’t that many people, in relative terms, that were prisoners of war or missing at this point. The government impulse was to kind of sweep this under the rug. Many people felt it was demoralizing for the U.S. public, and the less said the better, essentially. But when ’65, ’66 and LBJ has an operation Rolling Thunder, where lots of bombing starts to go on from our side, and the casualties, or not the casualties, but the pilots who are shot down become more and more frequent, along with the missing, the numbers of the missing, and then it’s something that can’t be hidden. So it starts to come out more and more as the numbers start to increase of the prisoners and missing on our side that are falling out of the sky. Jonathan Movroydis: You had mentioned that they thought it might derail the negotiations. But was there an underlying fear that it would make the war more unpopular? Heath Lee: Oh, I think so. I think basically, and I’m speaking mainly… Most of the story is under LBJ, so that’s the area that I really focus on is LBJ, and then under Nixon as the story goes on. But LBJ, particularly, was all about domestic politics, you know, the Great Society. He did not want to focus on this very unpopular war. He was kind of half in and half out. So he didn’t want to talk about this, didn’t want to deal with it. So this Keep Quiet policy, which had been in place under Kennedy, was something that LBJ chose to continue, I think, primarily for his own ends so that people would focus more on his domestic policies, and less so on his very unsuccessful foreign policy in Vietnam. Jonathan Movroydis: Under this Keep Quiet policy, was the release of the POWs and the accounting for the MIA, was that a condition of negotiations to end the war? Heath Lee: You know, not… President Nixon is the one who finally makes that a condition. And this is one of the things the wives were lobbying so hard for was, “We need an accounting of the missing and we need an accounting of the prisoners.” The North Vietnamese were refusing to give any accurate accounting of the prisoners or the missing. And under LBJ, this was just very fluid and very…just not…they were not pinning it down. They were not insisting on having some kind of real accountability, mainly because, I think, they were just afraid of derailing the negotiations for the North Vietnamese. Also because the previous template of negotiating in previous wars, and Averell Harriman in the State Department, who was the POW ambassador, under LBJ kind of in charge of POW affairs, was using kind of an old template, that we’re gonna do this Quiet Diplomacy. “We, the government officials, who supposedly know what they’re doing, we’re gonna deal with this ourselves. We don’t wanna get the public involved. We see no point in letting the public know what’s going on.” And Averell Harriman was even quoted as saying that that he found no point in the American public being told of the torture of POWS, what was the point? And the women in my book were much smarter than that. And they knew that was the point. Once they let people know about the torture that was going on, which the government under LBJ covered that torture up, this is when things start to change for the better. 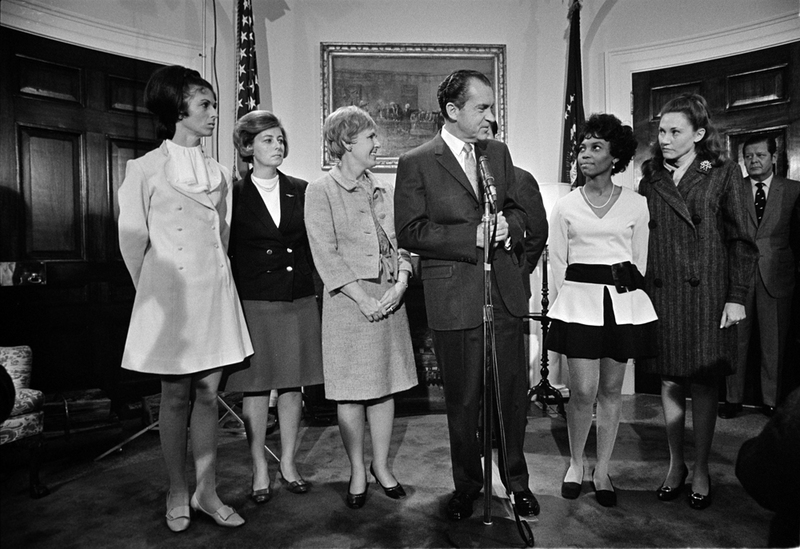 And President Nixon gives these women a platform to go public, essentially, to go to the press and to work with the press to get the word out about what’s going on with the men. And that changes everything for the better for these prisoners and for accounting for the missing. Jonathan Movroydis: In a sense, it helped with negotiations, I’m sure. Heath Lee: Yes, it helped tremendously because the North Vietnamese were so embarrassed. It was very important to them to have a good face to the world, sort of, court of opinion. And so many things were coming out, even indications of torture before the handling march is a good example, when the American POWs or marched through the streets of Hanoi and jeered at and, you know, really abused and battered. This all makes the North Vietnamese look terrible. This is horribly embarrassing to them. And they start backing off of things like a war crimes trial, which they kept on saying they would do with the POWs because they were air pirates, and we weren’t really in a war, and so we they were war criminals. But when the bad treatment comes out, and the torture comes out, the North Vietnamese back off of that. So yes, going public and showing these horrible things that the communists were doing to our men, really changed the whole game, changed the tide of the whole scenario. Jonathan Movroydis: Tell us a little bit about the… Your title is “The League of Wives,” tell us a little bit about who the League of Wives were and why… You had mentioned that the women were constrained under the under the Johnson administration. But this League of Wives formed and could you tell us a little bit about them and they’re sort of formation? Heath Lee: Sure. Sure. Yes, and the League of Wives is really the first iteration of what would become the National League of Families and Prisoners of War and Missing in Southeast Asia, which comes later in 1970. But the League of Wives was actually the San Diego League of Wives, which was formed under Sybil Stockdale in Coronado, California, which is in the San Diego area. Sybil Stockdale was the wife of Jim Stockdale, the highest-ranking naval POW. And the way that the military worked back then, and still, I think, to some extent works, is the wife reflects the rank for her husband, and particularly in the ‘60s that was the case. So Sybil was the default head of the wives in the San Diego area. She had kept quiet as instructed for several years about the fate of her husband Jim. She was coding secret letters under the auspices of naval intelligence, and she knew he was being tortured and ill treated, just like all the other prisoners, or many of the other prisoners. So, Sybil, basically, is the founder of the League of Wives and later the National League. She becomes a local leader, a regional leader, and then the national leader of this POW/MIA movement with women across the country, East Coast, West Coast, Interior West, people from every state joining in for this POW/MIA movement. This San Diego league starts in 1967 and evolves into the National League in May of 1970. So that’s kind of the trajectory of how that women’s movement for POW/MIAs comes about. Jonathan Movroydis: You had mentioned that they received support from the Nixon administration. How ultimately, were they able to, I guess, take off these constraints that the government was imposing on them? Heath Lee: Yes. So under Nixon, Sybil, who is so interesting, such a forceful, just amazing person, very smart, very…just a born diplomat and negotiator herself. She, even before Nixon comes into office, is already lobbying Ronald Reagan, who at that point was the governor of California, to make sure that the POW/MIA issue got in front of Nixon, got on his desk the first day he in was in office. And the first couple of days he’s in office, Sybil and her League of Wives, deluge him with thousands of telegrams. And at this point, the League has spread across the country. It’s still under Sybil, but people all across the country flood him with telegrams saying, “Don’t forget the POWs and the MIAs. Make this a top priority. So he’s very aware of this when he gets into office, and Reagan has urged him to really take a look at it. Melvin Laird, under Nixon, also urges that this become a top priority. And they quickly realize, due to Sybil and her otherwise educating them that, indeed, they need to throw off that old template that Averell Harriman and LBJ had. And they need to go public, they need to embarrass the North Vietnamese, and they need to show the public the torture that’s going on and the terrible scenario that these guys are in. So that’s kind of how it takes off. And so Laird and some of his cohorts with Nixon and Kissinger’s authorization, allow a televised press conference, I believe it was in March of 1969, where they tell the press about the torture, about what’s going on. The women have already started to speak out a bit, but this is really when the world knows for sure what’s going on. And this all happens relatively quickly. Once Nixon takes office, it does not take long. And the women all cheer and just have a huge celebration because LBJ would not even meet with these women. Nixon also makes it a priority to meet with the women as does Kissinger. They meet every other month with Kissinger during his tenure to, you know, get updates, to discuss what’s going on, to trade ideas. So it is a sea change from what was going on in the Johnson administration. Jonathan Movroydis: Could you take us through any particular initial meeting that was impactful, particular with Dr. Kissinger or President Nixon? Heath Lee: Oh, gosh. Well, there’s many, many of them. The one that I’m thinking of, because the cover of my book has a wonderful picture that’s partially taken from a press conference with Nixon. And I believe I will have to check on the date, but I believe it’s December of ’69. There is a press conference where Sybil, Louise Mulligan, Andrea Rander, a number of the high-ranking women, who will become founding members of the National League of Families, of the national organization are invited to the White House. And they have this press conference with President Nixon where he says how much he admires these women, they’re heroines and, you know, everybody should be paying attention to the issue. And then it just it goes on from there. And that kind of springs from that march…or actually, this would be right before it, I believe. I’ll have to check again the chronology. But the meeting…not that Melvin Laird holds a press conference also, is huge, just to kind of air this issue out and to go public in the press, to go public, not only domestically, but internationally about what is going on. And it just catches on like wildfire. And then, May 1st of 1970 is when the League has, what I call in the book, the League’s coming out party, where they’re founded, they’re incorporated that June. And the Nixon administration is extremely supportive of that whole meeting, and sends many officials from the administration to attend. Senator Bob Dole of Kansas is sort of the master of ceremonies at that event. Spiro Agnew was there. So it’s amazing how quickly, after all these years of having no help and fighting so hard to get the government to pay any attention at all, they can’t even get a meeting with the President. And now, they even have a red phone installed in the National League headquarters that goes right to Henry Kissinger. So it’s just amazing how quickly that goes once they realize that these women are huge assets, they’re not a hindrance at all. Jonathan Movroydis: Could you take us, you talked about Sybil Stockdale, Miss Galanti, Miss Denton. Could you give us one or two profiles of some of the women that were really, really impactful in the League of Wives and the efforts to bring their husbands home? Heath Lee: Oh, sure. There’s so many great portraits, I think, in the book. But two, I can think of in particular, that may be of interest, Louise Mulligan whose husband Jim Mulligan is one of the famous Alcatraz 11, the big resistors of the North Vietnamese. These are American POWs who just will not break. They all break eventually, but they last longer than anybody, and they’re huge troublemakers. And Louise, Jim’s wife, is also that way, in a good way. She’s very forceful. She is at times very critical of the Nixon administration. All the women get just so tired of the whole scenario, so by the end of it, they have just had it, even though the Nixon administration has done more than any other administration to help. Louise is critical for a while. But she is very…towards the end, she realizes that, finally, the guys are gonna come home and this is, in large part, because of the policies of the Nixon administration. She is the first woman to go public with her husband’s plight on the East Coast. Sybil is the first one to go public on the West Coast in 1968. And then Louise does this in 1969. So I would say Louise, like her husband, is one of the most forceful, direct personalities in the League of Wives. And if there are others, like Jane Denton, who was a bit more diplomatic, who sort of used more diplomatic means to get the word out, and Louise is known for her forcefulness, for her unwillingness to put up with any runaround. Then Andrea Rander is somebody else who I found very interesting. She is the only African-American woman on the founding board of the National League. She is also interesting because she’s an Army wife. Her husband Don Rander was an enlisted man in the Army. He was doing a lot of, sort of, undercover intelligence where he was captured in the Tet Offensive. So he was not held in the Hanoi Hilton at first, held in a different part of the country. But he eventually comes home as well. But Andrea was so interesting to me because, when you do interviews, you sometimes have things in your head like, “Oh, it should be this way or this should have been the problem.” And when I interviewed Andrea about being African-American, you know, was this a problem in dealing with the other wives? She says, “Oh, no.” She said, “Rank, not race was the problem.” It was not her race that was the problem, and, obviously, no one’s gender was the problem in this situation, what the problem was, at first, was rank. There was a real military hierarchy among the women. And Andrea being Army and enlisted was dealing with mostly women who were officers’ wives, and most were Navy or Air Force women. So that, at first…the branch and the rank were a bit of an issue, but that very quickly went away, too, as they all found they had to put that aside to unite for the POW/MIA cause. And they did that very successfully. They’re very good role models for politics now where we have trouble doing that a lot of the time. But these women quickly got over rank, race, and everything else. What branch you were in. Who cares? Let’s just come together and get the guys out. That was everyone’s mission. Jonathan Movroydis: What were the… You had mentioned earlier, the secret communications the POW wives used, the meeting with peace activists. Could you describe some of these tactics and strategies the wives used, and how they were employed, and the impact of these tactics and strategies? Heath Lee: Sure. Well, the covert communication, I think, is one of the most interesting parts of the book. The fact that these women were essentially Jane Bonds, doing all kinds of covert work would make a great show or a great movie, which it hopefully will be at some point. They were coding secret letters. That was the first thing they were doing. A lot of these women were tapped to do work. I mainly focused on the Navy wives who worked with a man named Bob Barrow in Naval Intelligence. And he trained them, and particularly Sybil became very proficient at this, in how to sort of use doublespeak and letters meaning, you know kind of giving mixed signals so that the person reading the letter would go, “Well, that doesn’t make sense. I wonder what that means.” There’s things like that. There was coding with letters and numbers. And I take great pains not to go into at length the technical aspects of how this works, because some of this is still used today by the military. And a lot of the military community does not want to have very specific things on that. So I tried to just give you the broad outline of how some of that would work. The POWs, for instance, would get a letter that had some of this coding or doublespeak in it, and they would figure out somehow, to soak the letter in water or, in a lot of cases, they would have to soak it in urine. Because they were so mistreated, they didn’t get enough clean water, so they would soak it sometimes in urine, and then, they would see a secret message come up and instructions on how to write back between the lines of the original letter without their captors knowing what was going on. So that was very James Bond kind of stuff. Later, they were microdots that they would put in packages. When the Vietnamese briefly allowed care packages in, they would put those in things like toothpaste. So there was a little of that gadgetry later going on. Then the peace activists were very interesting, I mentioned them earlier. The wives were sort of forced to work with the peace activists. And you have to remember these are conservative military wives. Peace activists and anti-war activists they associate with communism, rightly or wrongly, so they are like the devil. And so these women are forced to, as many of them said, do a deal with the devil to get letters through, because the North Vietnamese we’re not allowing, under Nixon and even before, they began not allowing letters to come in through any kind of American government auspices. So the peace activists were the only ones that could get letters through from the POW wives to the POWs. So they basically had to make kind of Faustian deal to get any letters through to their husbands, and the government encouraged this. They said, “We gotta use any means possible to communicate with these guys.” So it’s a very uneasy alliance. They did not like the peace activists. And I contend in my book, just using a lot of the evidence, I think, many of the peace activists were using these women for their own political ends and not such great people. They would give press conferences on television about, for instance, missing in action that the North Vietnamese had told the peace activists these people were dead, or they were prisoners, or not prisoners, that might or might not be true. The peace activists would give news conferences on TV, put that out there, not tell the government or the wives. So they would see this on television, with no briefing, no warning. And it was so upsetting because you didn’t know if that was true or not. Sometimes it was sometimes it wasn’t. So it was kind of like your husband was dying 1,000 times or in different scenarios. It was very cruel. And the peace activists were doing this to further their own agenda. So the book says that their motives were not always very pure. And there’s a whole spectrum of peace and anti-war people that have different degrees of that going on. But I found that just fascinating about these uneasy alliance between the women and the peace activists. Jonathan Movroydis: Could you take us…could you illustrate for us the critical point in this story, the point where the wives knew that their husbands would be coming home? Heath Lee: Oh, yes. Well, and there’s so much back and forth and the book goes through that, you know, at length where, are they really coming? I think they are. And there’s a lot of denial, too. Like, there are so many times where they think maybe, to use a famous Kissinger phrase, which I know he regrets now, the “Peace is at hand,” a little prematurely, phrase he uses. He thinks it is and then it’s not. The North Vietnamese are so difficult, and stalled, and these negotiations went on in Paris just forever. So the women were used to being disappointed. So they had steeled themselves each time. We thought peace was at hand, it really wasn’t. So they didn’t really believe it when finally, the POWs are coming home. Indeed, they are, everything is done, they’re coming home. So for a while, they’re in disbelief. Then it finally sinks in that they are coming home, and there’s a frenzy of… I have some quotes a book about like, just mundane things like getting the house decorated or getting your hair done, getting ready, you know, fixing up everything you haven’t fixed up after, you know, your husband’s been gone for so long. And then, there’s, of course, just mental preparation like trying to decide how to handle it. What to leave…one of the wives, I think it was Andrea, said an Army counselor said, “You’ve gotta decide what to leave in, what to leave out.” Like, what do you tell him when he comes home? What do you not tell him? There’s just so much to think about. And a lot of the military psychiatrists had scared the women to death about all of the problems they were gonna have when the men came home, the psychological problems they were gonna have. And thankfully, most of the women I interviewed, when the guys came home, a lot of this just melted away. They were just so thrilled to see them, and on both sides. And for some documented reasons that I talk about in the book, the Hanoi Hilton prisoners of war, in particular, had an extremely low rate of PTSD. It was I believe, something like 4%, which is just so minimal, considering what they had been through. But they had all been to SERE school, the search evasion school, they had been trained in how to handle being a prisoner. They were college educated, highly trained military guys. And they really handled things way better than anybody thought they would. So that was very interesting when they came home, the lack of problems that a lot of them had. Not to diminish, some of them did have problems. Andrea Rander’s husband had severe PTSD. But he was Army and enlisted. He was sort of in a different area. So that was kind of was all going on and then, when they finally came home, they weren’t quite sure what was gonna walk off the plane. What were they gonna look like? What was gonna happen? And one of the things that I thought was so interesting about President Nixon is he refused to be at…when the guys came home, he said, “No, I’m not gonna use this as an opportunity to grandstand. I think they need to have that time with their families without me there,” which I thought was so interesting and so not what we see these days. I thought that was admirable and really interesting. So they all come back and there is, of course, a period of adjustment, a long period of adjustment. I think sometimes more for the wives who had to give up this hard-earned…all these skills, all of this stuff they had learned, I mean, they were power brokers. And they were in DC and working with really important people, and then they have to sort of give that up. So it’s hard for some of them, harder for some than others, to get back to their old lives. Jonathan Movroydis: In May of ‘73, after that period of time after the POWs came home, President and Mrs. Nixon threw a dinner at the White House on the South Lawn. Did the wives share any of those experiences with you? Heath Lee: Yes. That has also been a fun part. I’ve curated this exhibit also called “The League of Wives,” that is coming to the Nixon Library in a year or so. And it was so much fun to collect. I actually collected some of the artifacts from that dinner, a beautiful yellow silk halter-type dress, that one of the wives wore to the dinner. So they’re all just dressed up in these glamorous evening gowns and they have this fabulous menu. I have a menu from that night that someone has donated to the exhibit with like sirloin, and roast potatoes, and strawberry mousse. It’s a POW food fantasy come true. So they are just treated like absolute heroes. They have… Bob Hope is there, Phyllis Diller, all these famous movie stars, Sammy Davis. So they’re feted like royalty. And as I say in the book, they go from grim to glam in a matter of weeks. So it is surreal, I think. And a lot of the wives that were there that I’ve talked to said, A, how glamorous it was. And, B, how surreal to be in that situation after so much time being in such a horrible, you know, scenario in rat-infested prison to go from that to this. And the other thing that they all said was just, you know, how warm, and welcoming, and just emotionally overwhelmed they felt that the Nixons were. But they just were genuinely so thrilled with having them all there. And, I think, just watching the toast, and talking to people who were helping Nixon with the speech… I love what he said. He gives a toast not to the POWs returning, but to the wives and girlfriends. And he toasts them as the First Ladies of America, the bravest and most courageous women I’ve ever known. So I thought that was super cool, well deserved, and actually, the right thing to do protocol-wise as you’re supposed to give a toast to the ladies and not to men. So he was right on point, I think, with that that whole evening. And everyone just raved about it. And I have really heard wonderful, glowing things about the evening. And there’s great footage, too, a great television special on it that helped me a lot to see just kind of get the context, the background, the clothes. But a very, very glamorous occasion. Jonathan Movroydis: And just as a final question. The research and writing process of this book, did it affect at all you’re thinking about the history of the times? Heath Lee: It definitely did. I was born in 1969. So I was just like, barely alive towards the end of the conflict, knew nothing about it, never took a class about Vietnam. So I will say, going in, I didn’t have a view, a political view. I didn’t have any firm anything in my mind. I think for so long, Vietnam has been something we’ve ignored in history, we wanted to forget. Just kind of like the Johnson administration did, people wanna sweep it under the rug. So I came in pretty fresh to that whole thing. So I’m not sure if it changed my thinking in terms of I didn’t really have a view to begin with. So I had to start from the ground up and really learn about it. One thing it did change, though, I think, you know, for so long, we always think our government knows what they’re doing. And the people that are in charge must know what they’re doing. Well, clearly, they didn’t at all. Under Johnson, particularly, nobody knew what to do. I have a line in there where I say, “Neither the whiz kids,” meaning McNamara and his crew, “or Wiseman,” meaning Averell Harriman and the crew before, “knew what the hell to do with this situation.” Nobody knew. It was just completely uncharted territory in terms of the POW wives and how to handle not only the guys, but what do you do with the women on the home-front who are smart, who are asking you difficult questions that you can’t answer? So it made me really understand how fallible government is and how good intentions aren’t always there. So that was kind of not…it isn’t just the now that we have these problems. It’s always been problematic in government, so that that was a very interesting angle. And then also to have people who you think are good guys be the bad guys and vice versa. It’s just, you never really know until you study history, the full extent of public figures and kind of what their motives are. So it was just fascinating. It was just like a window into a time where I was alive, but not really conscious of what was going on. But something that I knew…in the back of my mind, of course, knew about. So it really opened up a huge window into the ‘60s and the ‘70s. And also allowed me, particularly, to see women and the changing roles of women, conservative wives who don’t become feminist, but they become very empowered and they’re very influenced by feminism and the civil rights movement, without wanting to be feminist perhaps. They just are activist and humanists who take on the communists and have to take on their own government under Johnson to get things straight. Heath, thank you so much for joining us. Heath Lee: Thank you so much, Jonathan. It’s been a pleasure. Jonathan Movroydis: Please check back for future podcasts at nicksonfoundation.org or on your favorite podcast app. This is Jonathan Movroydis in Yorba Linda.